We offer three types of glove with different levels of protection: Gloves with electrical protection only (to be used in conjunction with over gloves for mechanical protection). Gloves with integrated electrical and mechanical protection (two in one). 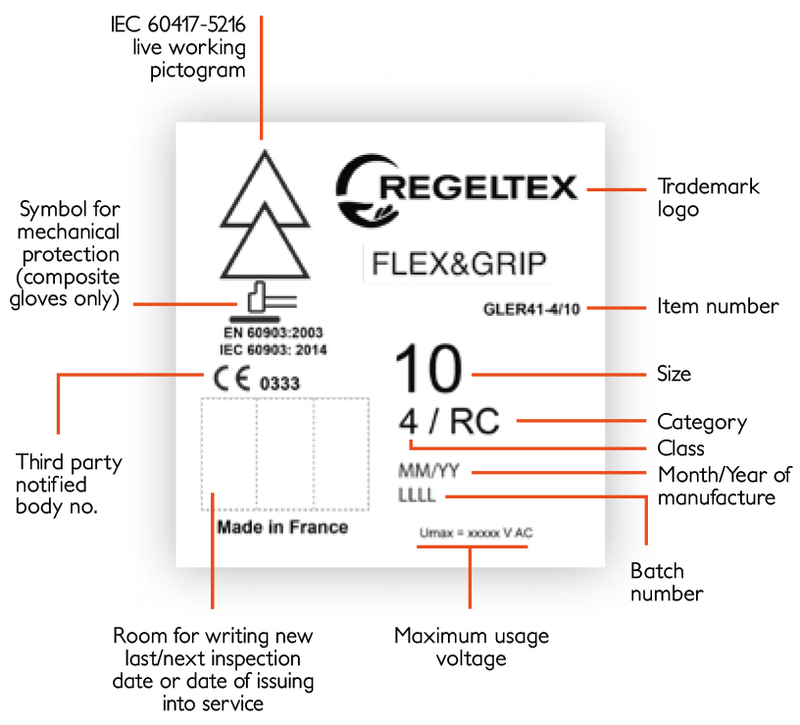 Gloves with integrated electrical and mechanical protection, plus arc protection(three in one). 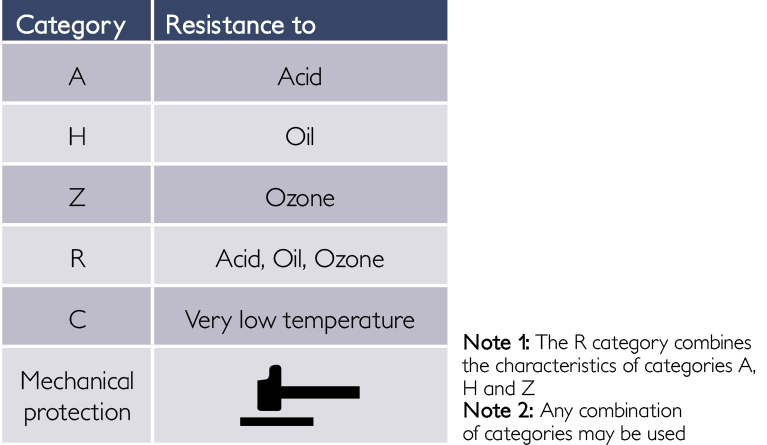 Special properties may be useful for providing additional protection during electrical work : A (acid), H (oil), Z (ozone), R (A + H + Z), C (very low temperature); most of our gloves belong to the RC category. It’s very impor tant to chose the right size in order to get the highest dex terity. Many sizes are available (6 to 12 depending on the class), so to let gloves suitable for ladies or big mens. Standard lengths are 28 cm, 36 cm and 41 cm. Our insulating gloves have no expiry date and can be used as long as they pass periodic inspections. We recommend testing gloves in service every six months and gloves in stock every 12 months; the recommended method of testing is visual inspection and dielectric testing. More informations are available on the instructions for use. Full visual inspection of each glove. Use a manual air pressure device for testing the glove by inf lating it and thus detecting any defects. If a glove is defective, both the gloves of the pair must be rejected from use and checked by a trained person. Go round your hand with measuring tape, leaving out the thumb. Close the hand without excessive clenching and take the measurement. Exemple of a composite glove, with the 'hammer' pictogram in addition.